Nothing says class and sophistication like an elegant skirt. Especially when it’s on your sofa! The Savvy Berkeley Chaise Sectional Queen Sleeper with Slipcover with Down Feather Seating is just what you need to take your living room decor from frumpy to fabulous. A completely customizable model, there is a Berkeley to match any home. Visit our Design Center now to browse through our vast selection of designer upholsteries. Yes, the pillow and cushion covers can be removed. They will all come with zippers. All of the fabrics have a basic stain protector, however none have been sprayed with any harmful chemicals. Do any of the chaise lounges on the queen sleepers lift up for storage? Absolutely! The models with storage chaise lounges can be seen here. You can also add storage to any Comfort Sleeper! Are the slipcover also washable? I am looking for a sofa sleeper with entirely washable exterior coverings. The slipcover is generally washable, though how it can be washed will depend on the fabric you select. 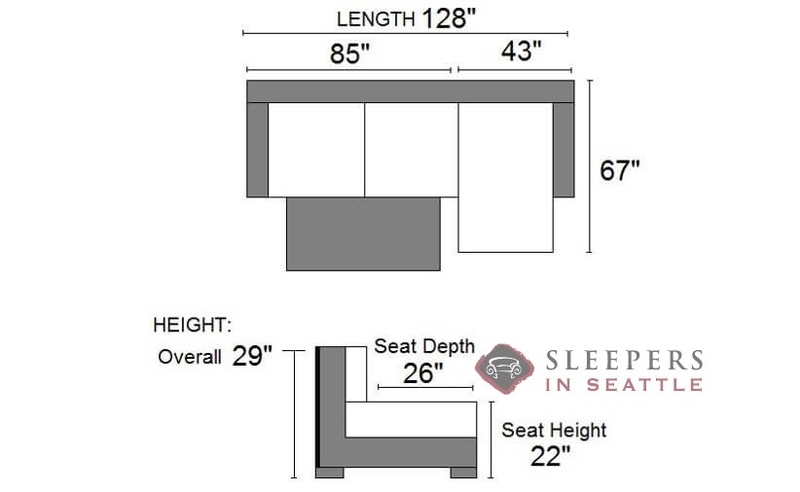 Do you have pictures of this couch with sleeper portion pulled out? What material do you recommend for easy washing at home? 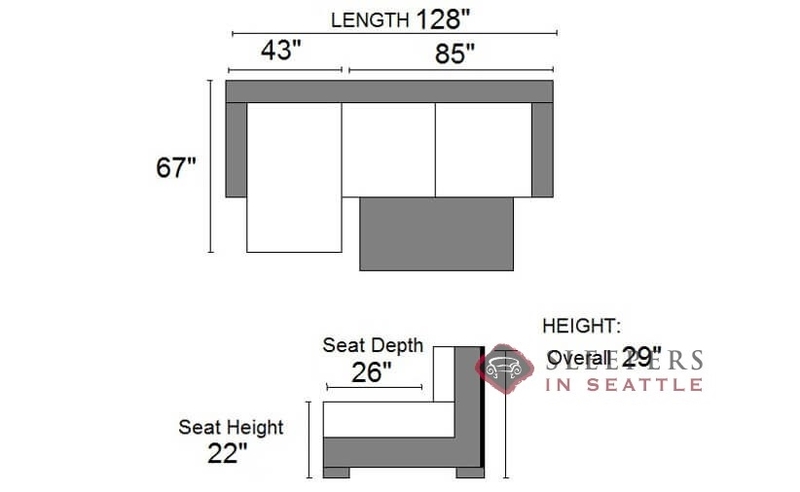 Which chaise lounge is required for this model to include storage in it? 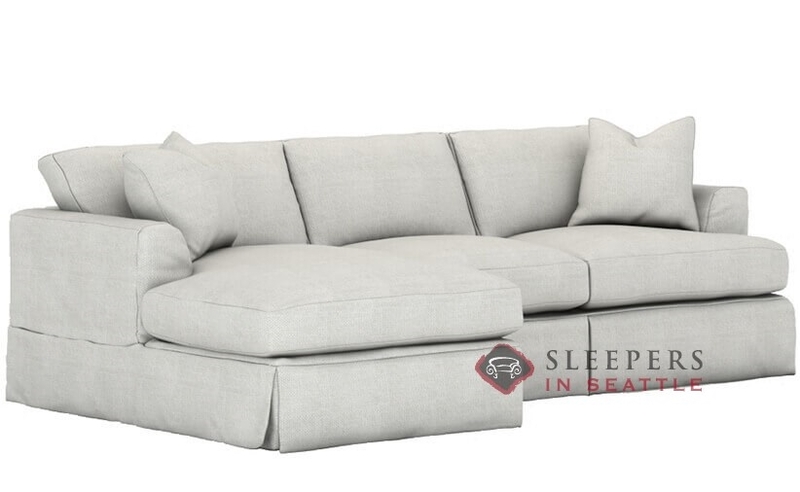 We don't have a photo of this model opened as a bed, but we do for the Valencia Chaise Sectional, which includes the same sleeper mechanism and mattress options. We recommend choosing a 100% polyester fabric, for the most durable and easy to clean options. You can also always sort our fabric options for the Durables tag. The Berkeley does not have a storage chaise option, though some other models do, including the Valencia.